Even if there is a certain satisfaction to having a clean home, no one really likes doing housework - and I suspect those people who claim they do are either lying or a little bit insane. A team of researchers at Cornell have taken that disdain to a whole new level. They've created a machine that'll do their chores for them. In other words...we're one step away from having robot housekeepers, folks. Cornell University's Personal Robotics Laboratory is currently hard at work developing new algorithms and software for their robot, Kodiak - which started out as little more than a mechanical barrista (its design is based on the PR2 robot I covered a few months back). Their end game? 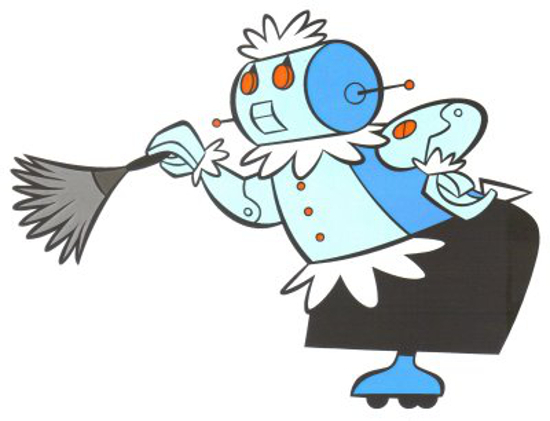 to design an artificial housekeeper that's essentially a real-world version of the Jetsons' Rosie Robot. 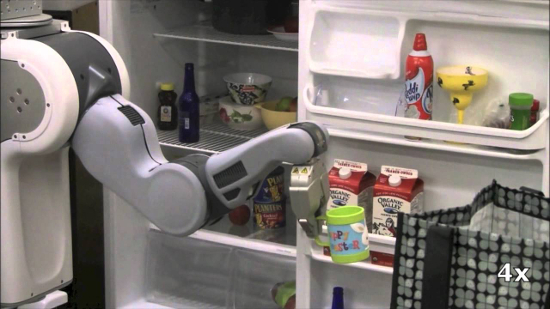 "The real high level of this project," explained Ph.D student Ian Lenz, "is basically just to have a robot to do all those little things in your house that you don't want to do." One of the ways they're enabling Kodiak to do this is by equipping it with the capacity to learn in much the same way as a human. Rather than having a pre-programmed routine for each and every object it comes into contact with, Kodiak is able to learn through simple observation. If it doesn't recognize a particular object, it'll search the Internet to discover what it does, watch a human being interact with it, or gain the knowledge through direct feedback from a human caretaker. Kodiak is a equipped with a wide array of sensors and cameras that allow it to perceive its environment, and its design is intended to be inoffensive and endearing. This allows it to safely work in close proximity to humans (sort of an important consideration given that it's a household robot). Currently, there's no timeframe as to when Kodiak might be ready for consumers. Either way, it'll probably only be a few decades before we start seeing household technology like that found in The Jetsons. Now, let's just hope that some of that show's other, darker predictions don't also come true.